RSEvents! 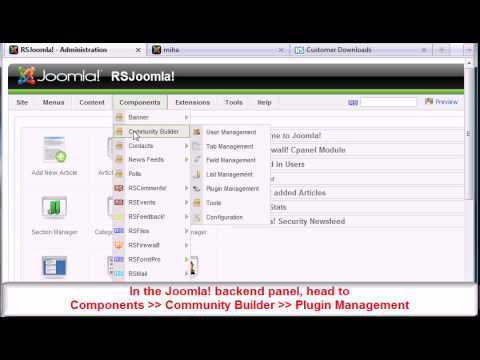 allows you to create web 2.0 ready events, integrating with Youtube, Google Maps, Flickr, flash widgets. The "Events" tab displays a list with the event general info: the number of subscriptions, category, location. 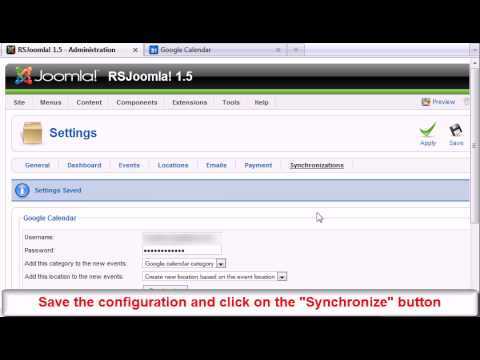 If configured, events can repeat on certain dates or periodically. You can edit all events details: category, location, owner, description. You can create and manage event tickets: set the price, number of seats, the max tickets/user. RSEvents! allows you to manage other registration details: overbooking, user & guests options, event approval. You can use the RSForm!Pro-RSEvents! Plugin to create custom registration forms for eveQnts. You can also upload event files or add event extras. You can create event discount coupons. You can set the coupon availability, the maximum uses, price and other discount options. Old events can be archived/unarchived. The event subscribers are listed in the "Subscriptions" tab. For each subscriber, RSEvents! displays the transaction status: accepted, pending or denied. The payment and subscriber details are listed in a modal window. 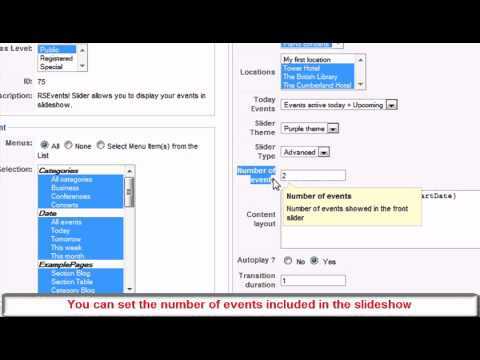 You can create event categories and subcategories. You can create event categories and subcategories. User will be able to identify the event category in the Calendar View by color. 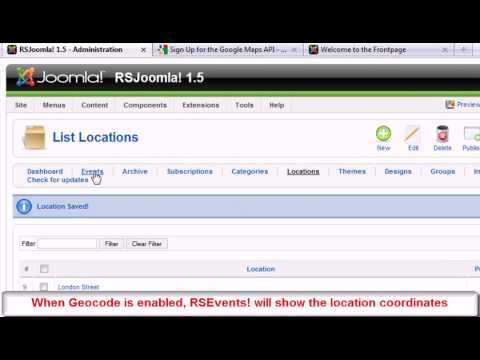 The "Locations" tab displays a list of all configured event locations. RSEvents! 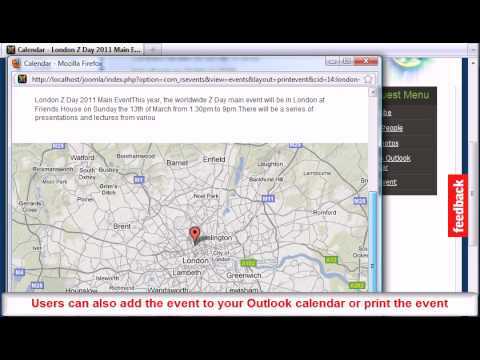 has a set of thematic designs that you can apply as templates to your event pages. 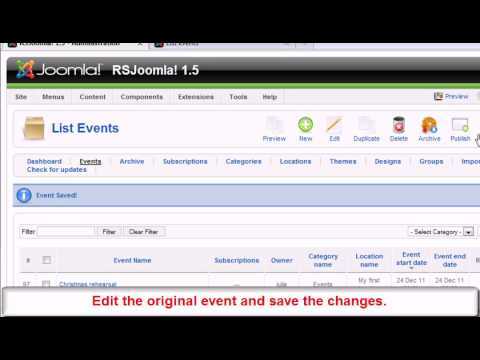 The "Groups" tab allows you to set different event permissions for your Joomla! user groups. 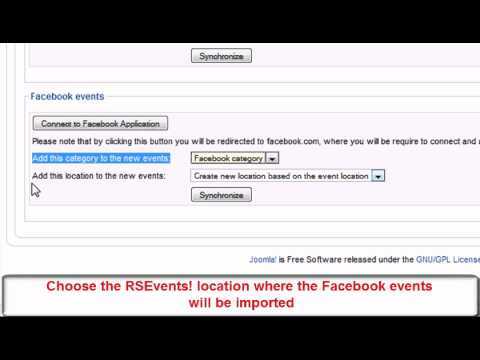 With RSEvents!, you can import events from Eventlist, JCalPro and JEvents!. The "Settings" tab, allows you to configure events, locations, emails and payments.